Home Posts tagged "Routes into Languages"
The next Routes into Languages webinar on “The Versatility of Languages: transferable skills and cultural competencies” takes place today, Friday 26th January 2016, from 12:00-1:00pm. The webinar will be live streamed and participants will be able to submit questions to a panel of experts. The discussions can be followed on Twitter at #RoutesLive. For further details about this webinar, including information about the panel of experts, visit the Routes into Languages Live website. The previous webinars in this series can be viewed online: Routes into language teaching, Working as a translator or Interpreter: Ask the Experts! and Languages for Business. Continue reading"Routes into Languages employability webinar: “The Versatility of Languages: transferable skills and cultural competencies”"
Over 100 Year 12 students and their teachers will be visiting the University’s Avenue Campus on Tuesday 19 January 2016 to participate in a Routes into Languages Study Day. Students will participate in sessions on cultural topics, grammar and speaking in French, German or Spanish, and will have the chance to do an ab initio session in Chinese or Portuguese. Participants will also have the chance to ask our Modern Languages students about studying languages at university during a student panel session. 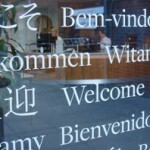 Our visitors may be interested to take a look at Get Ready for Languages, an online resource which aims to guide you to useful information about life as a Modern Languages student at Southampton. 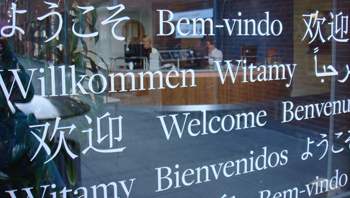 You can read about staff in the Modern Languages department, discover what sorts of things Modern Languages students past and present are getting up to, and explore some of the modules you might decide to do. All this and more! Why not also follow us here on the Languages at Southampton blog, and on Twitter @ModernLangs, to keep updated on Modern Languages news and events. For further details about this event, visit the Routes into Languages website. Continue reading"Future Modern Languages students to attend Routes into Languages Study Day"
The next Routes into Languages webinar will take place on Friday 15th January 2016. Similar to the previous two webinars “Routes into language teaching” and “Working as a translator or Interpreter : Ask the Experts!“, the webinar will aim to address an audience of students, teachers and trainers who are invited to ask questions to a panel. The discussions can be followed on Twitter at #RoutesLive. This webinar is one of a series of webinars launched by Routes into Languages covering the topic of employability as part of a strand of online dissemination activity. Watch this space for further details about the webinar to follow shortly! Continue reading"Save the date for the next Routes into Languages employability webinar"
Routes into Languages is hosting a webinar on ‘Routes in Language Teaching’, taking place on Friday 23rd October 2015 from 13:00 to 14:00. The event is aimed at students, teachers and trainers who are invited to ask questions to a panel. This is the second in a series of webinars hosted by Routes into Languages covering the topic of employability. For further about this webinar, visit the Routes into Languages website. You can follow the discussions on Twitter #RoutesLive. 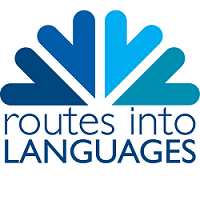 Continue reading"Routes into Language Teaching webinar"
Routes into Languages is launching a new series of webinars on the topic of employability this week, with its first session taking place this Friday 10 July 2015 from 12:30 – 13:30. Entitled ‘Working as a translator or interpreter: ask the experts!’, the event aims to address an audience of students, teachers and trainers who are invited to ask questions to a panel of experts. For further information on joining the webinar, visit the event page on the Routes into Languages website. You can also follow the event on Twitter #RoutesLive where anybody can post questions to be fed to the panel before the day of the webinar. Continue reading"Webinar on ‘Working as a translator or interpreter: ask the experts’ this week"
Approximately 100 Year 12 students will be visiting the University’s Avenue Campus on Wednesday 17 June to participate in a Routes into Languages Study Day. Professor Mike Kelly from Modern Languages at Southampton was answering questions yesterday from students interested in studying or working abroad as part of the launch of a new website called TYA Answers, created by Lizzie Fane, the founder of thirdyearabroad.com. Funded by HEFCE through the Routes into Languages initiative, TYA Answers is dedicated to supporting students who have questions about studying or working abroad during their degree. Areas for discussion on the website include what it’s like studying languages at university, careers for ‘Global Graduates’, culture shock advice and making the most of your year abroad. If you have your own questions to ask, or simply wish to find out more, visit the TYA Answers website. Continue reading"Professor Mike Kelly answers questions from modern languages students on new website"